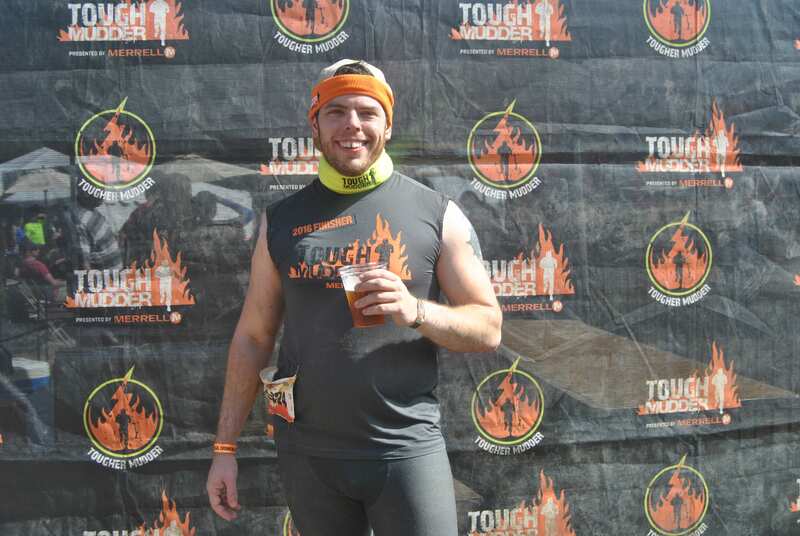 Another Mudder down, and I can honestly it was the best Tough Mudder event I have been to so far. 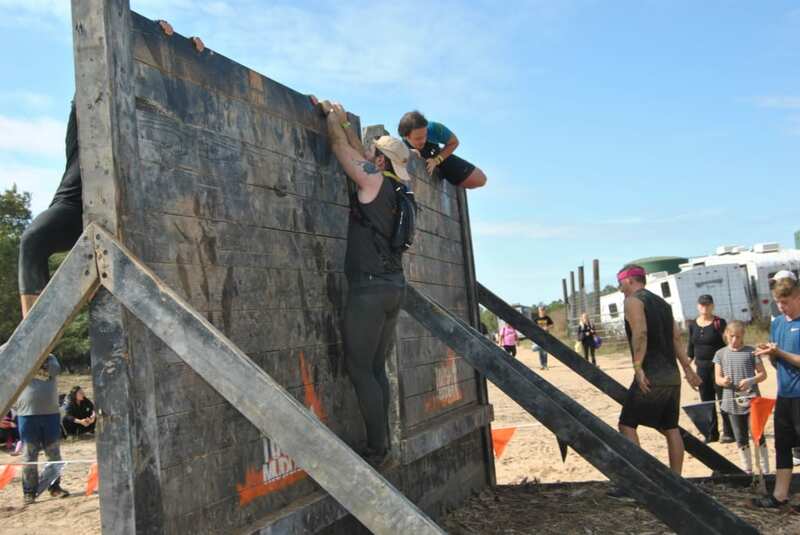 While the Mudder Village may have been smaller than usual, every other aspect of the race is exactly what I would expect from an OCR. The course itself was the best course I’ve run, and the spectator course as well was very efficiently done. To start with, we’ll discuss the course itself. Throughout the course, there was no part that felt mundane. As soon as we started running, we ran through mud, water, dirt, and sand. 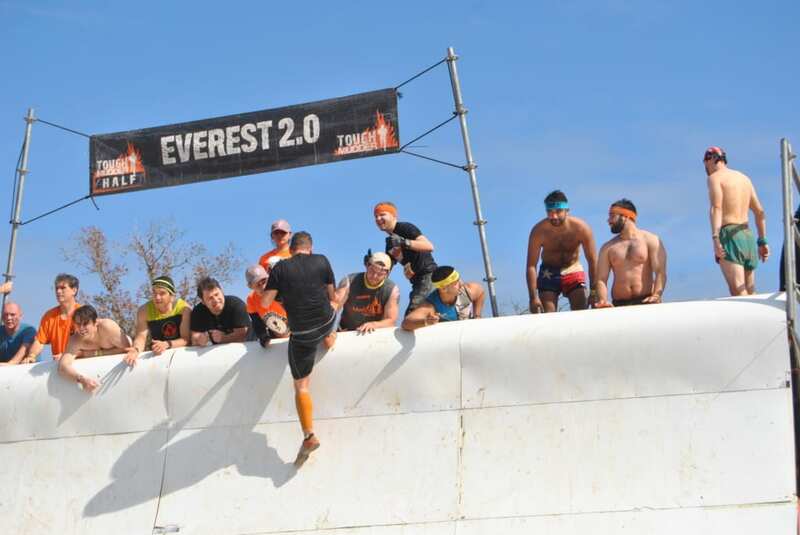 All of that was before the first obstacle, which felt right to be Kiss of Mud 2.0. 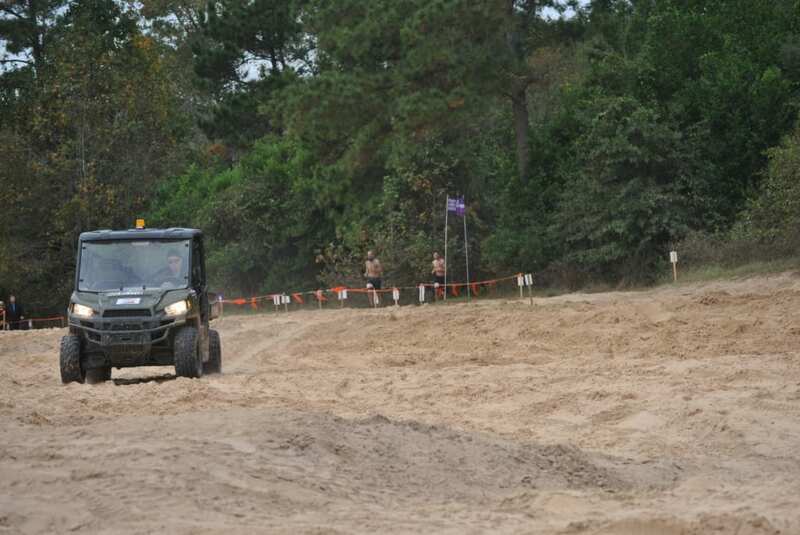 Every bit of this course felt like a Tough Mudder. The course had points where people were up to their chest in mud. There were points of fresh sand, which made some of the running strenuous. While the course was challenging, or even “sadistic” as I heard others say, it was a significant challenge and was never dull. 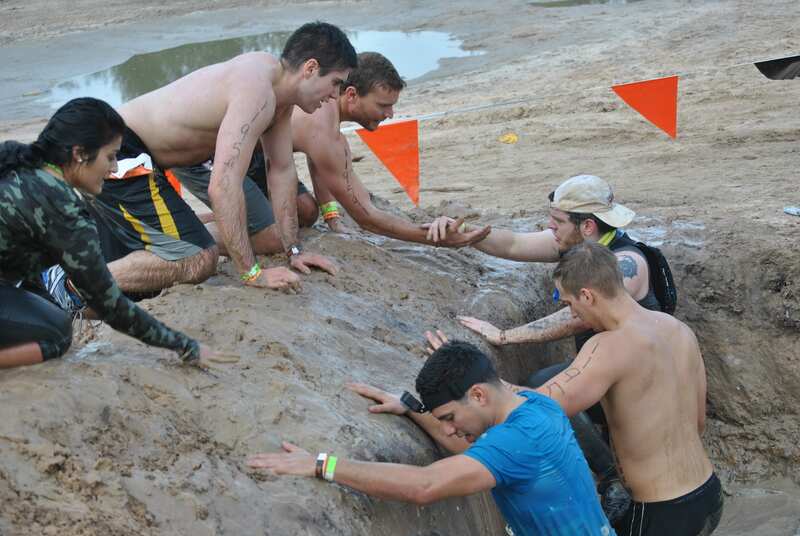 Even some of the obstacles themselves were different, such as Mud Mile and Hero Carry. I had never seen so many people drop others at Hero Carry before, because they not only had tons of mud for this Hero Carry, they even had a portion of a water pit for it. The Hero Carry was a tough obstacle this time around for many people, especially those who didn’t have sound footing or proper footwear. Usually Mud Mile is just mounds of mud on top of dirt, with some water holes. 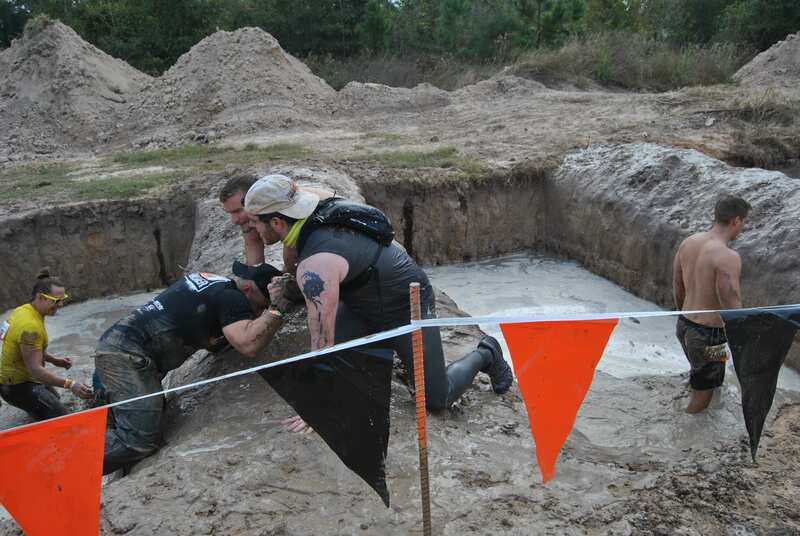 This Mud Mile had pits – not holes. 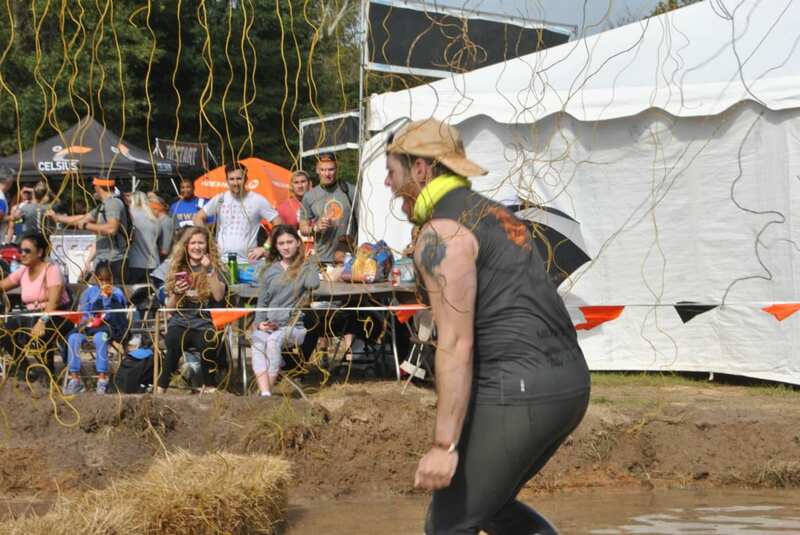 On the course as well, there was something else in which I love about the Tough Mudder, the spirit of helping your other Mudder out. On the Stage 5 Clinger, there was a lady who had fallen off at least 4-5 times and didn’t give up. Everyone around her kept encouraging her and even helped her to the best they could where she was finally able to finish. Oh, and when I say she fell, I don’t mean that she lightly hit the ground. She smacked into the obstacle at least 2 of those five times on the way down. She chose to keep going, and everyone around kept pushing her and doing what they could to help her. 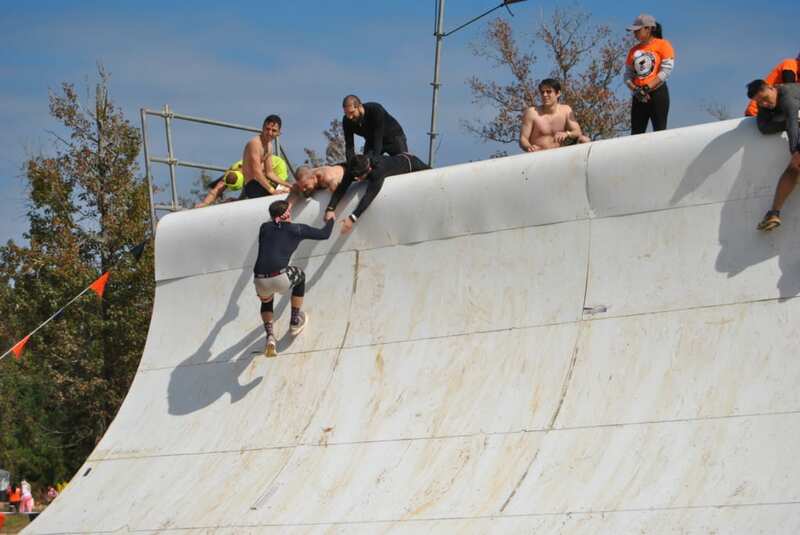 I can keep on going about obstacles, but I will call out Arctic Enema at this course. The morning already started off pretty brisk, and the weather stayed that way for a while. 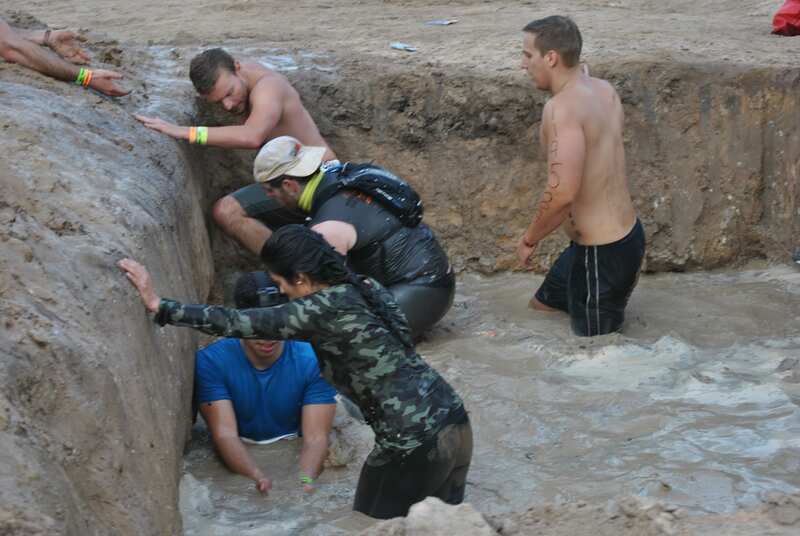 Since there were tons of mud/water pits as well, we all went through tons of water that were, well, a little cold. Later comes Arctic Enema, which quite frankly, this course around, lived up to its name. I could hear the ice truck engine from around the corner as I ran up. I could see new people with this idea that this obstacle couldn’t be as bad as others were saying. Nope, it was worse than usual, and by worse, I just mean more sadistic. They had you dive completely under cold water to go under some tires. The staff was just pouring in fresh ice as it was my turn to slide in. It just makes it that much colder. You would think a new bag of ice into a dumpster of water would make no difference. IT DOES. As I finished up my ice bath, everyone around me who I warned this was the worst obstacle they would face on the course, gave me a head nod. They understood the torture. Arctic Enema is just torture, in the best and worst possible ways. to scaling Berlin Wall very fast. To the talking/conversing with other Mudders. 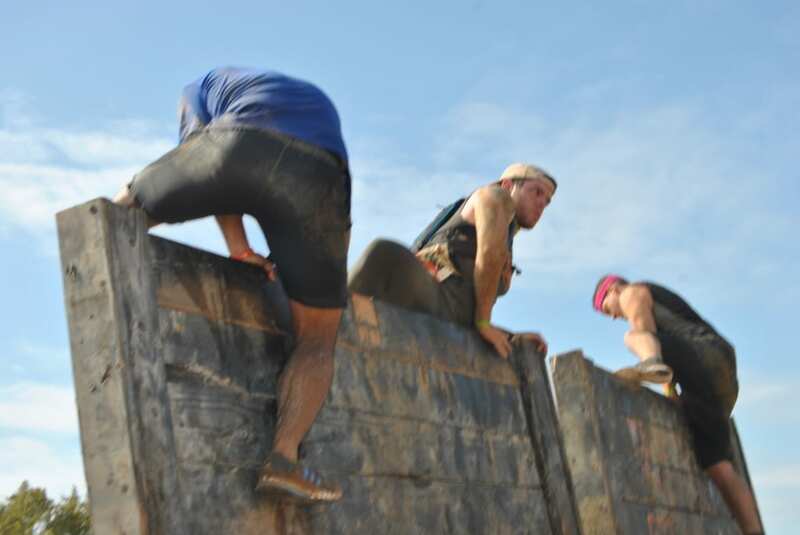 The whole course was the best experience for an OCR I’ve yet to have. While I did personal record on a 10-mile TM course by a whole 35 minutes (2 hours 40 minutes compared to 3 hours and 15). I was just so in love with this course that I have no complaints about it at all. Parking was easy, the course I think was perfectly done. Mudder Village was small, but you don’t need it to be huge. 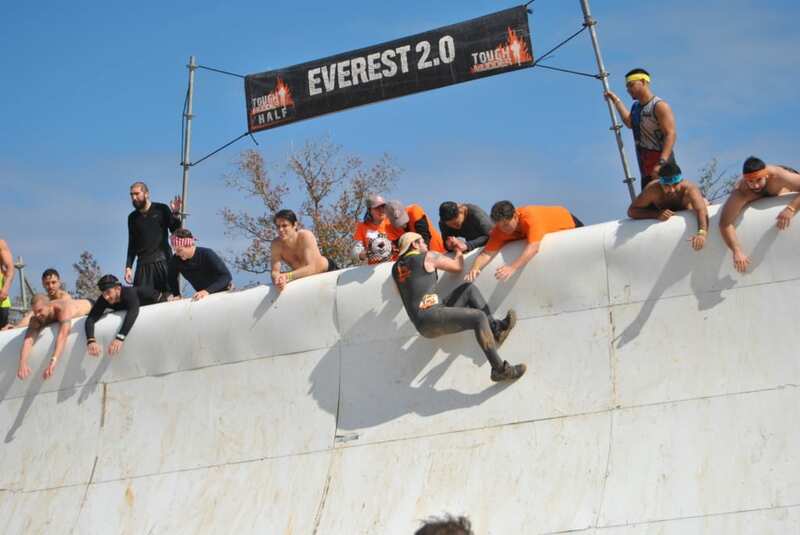 I only wished my photographer could have gotten some of the other obstacles (like Arctic Enema). Frankly, that would be a perfect one to have along the spectator course only to hear everyone in unison scream obscenities as they pull themselves out as quickly as possible. 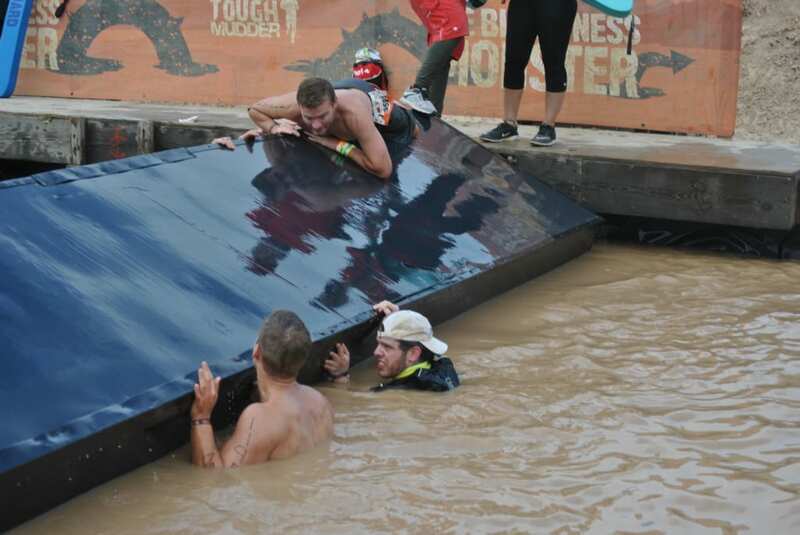 The venue was a prime example of where the Houston folks for the Tough Mudder had stepped it up. Choosing Creekside Offroad Ranch (http://www.creeksideedge.com/) was terrific. They used the venue in what I felt was a perfect way. Despite the course looping around, it never felt you had gone through the same location even though you passed by previous obstacles. This was a course that not only did I get the sense the runners enjoyed, but I could also tell the spectators seemed to enjoy it as well. The spectators seemed to be all over and cheering people on. Spectators lined up among the spectator path just about at all times, unlike the Dallas Tough Mudder this past September. It was 8.56 miles long and 8.55 of it was in thick sand. I had a foot cramp on the 6th mile. 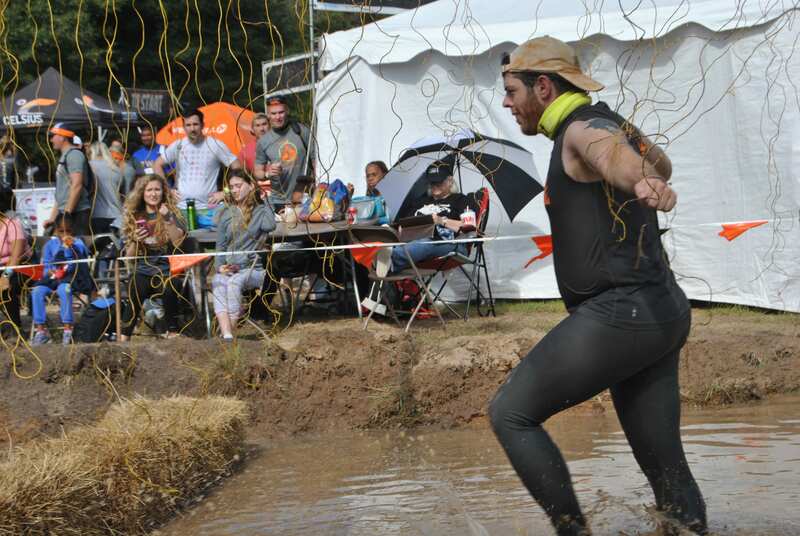 Mud Mile was the toughest I’ve done and, yes, Arctic Enema was the toughest it’s ever been. Hey – thanks for the comment! I did double check myself, and the map itself of the course definitely shows it to be 9+ miles.